Chance to WIN a £100 Voucher for Park Centre Belfast each day all this week with Gareth Stewart. For your chance to win, simply tune into Gareth on Q Radio Cafe from 10am - 1pm each day and you could be a lucky winner... Good luck! 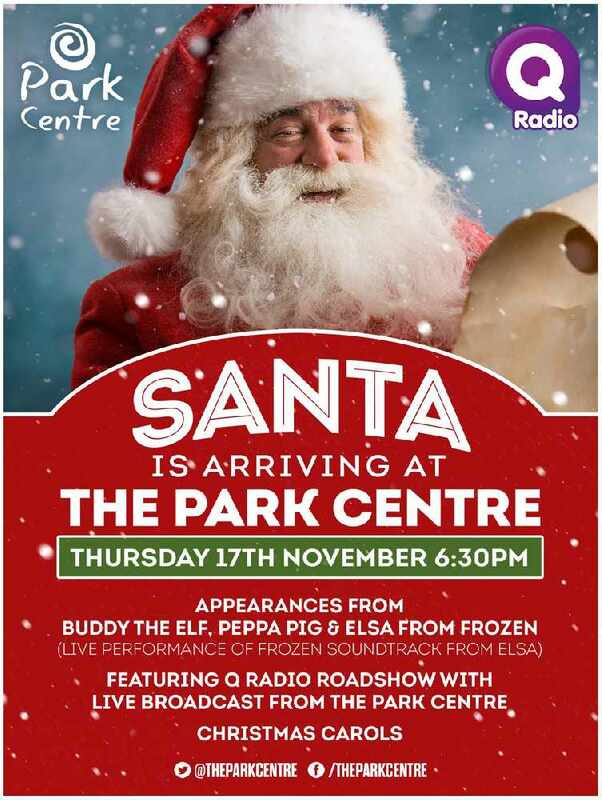 Join Owen, Yazz and the Q Radio crew on Thursday 17th November 2016 for Santa's Arrival at 6.30pm. With Christmas carols, a live Frozen performance from Elsa and Q Radio drive live broadcast, there will be plenty of family fun for everyone!